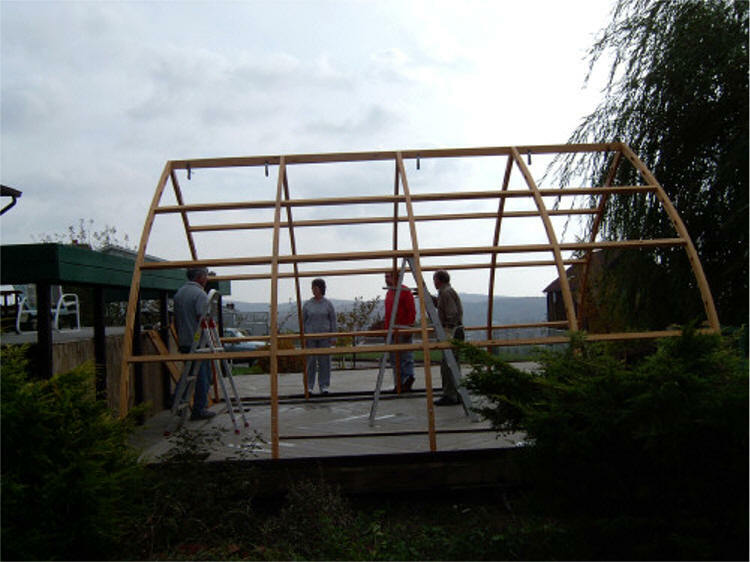 You previously mentioned photos of the construction phase. 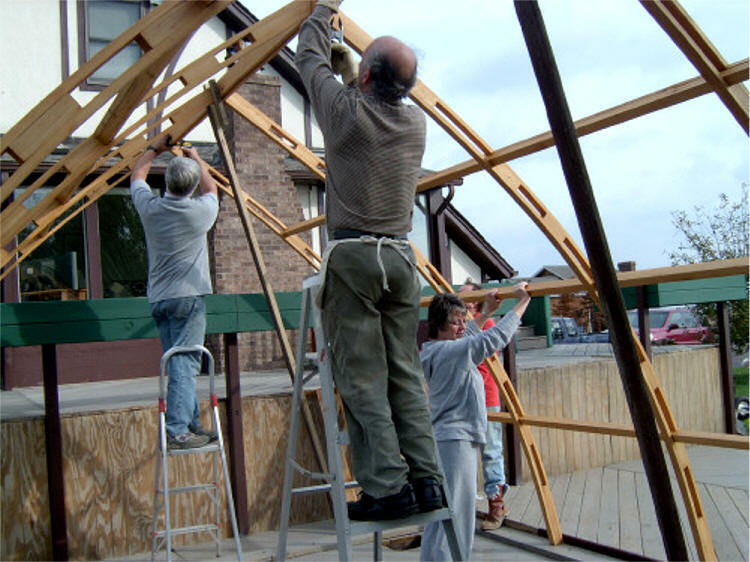 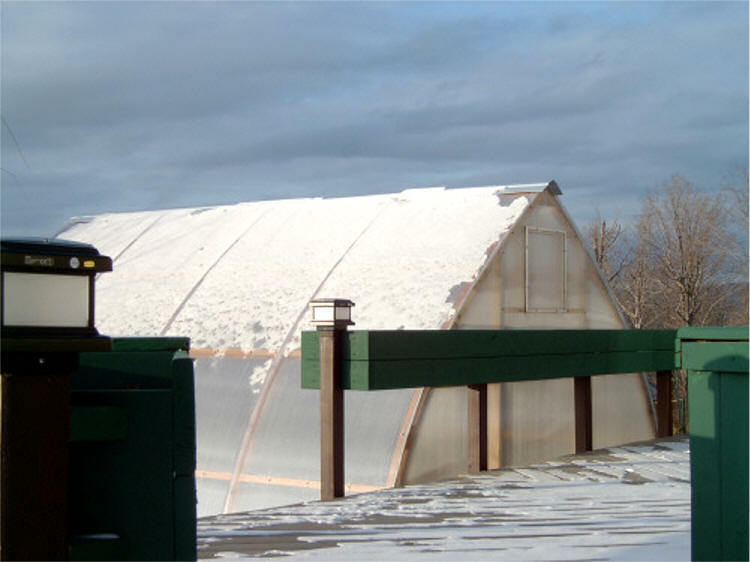 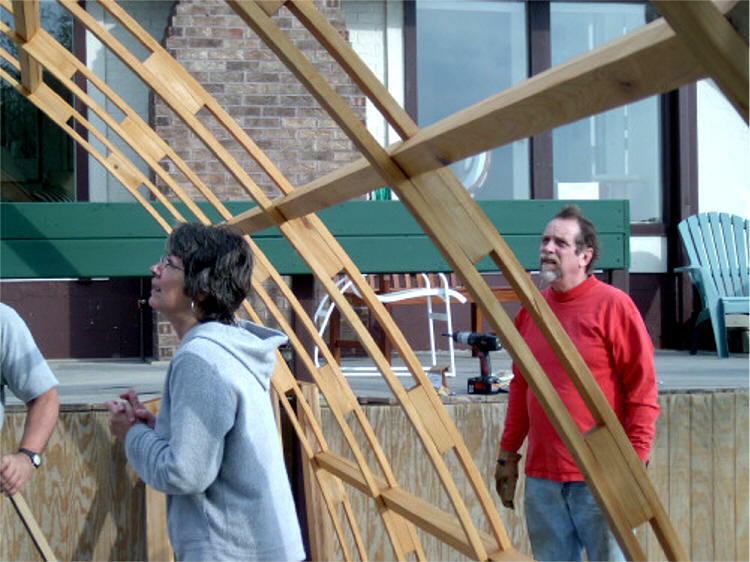 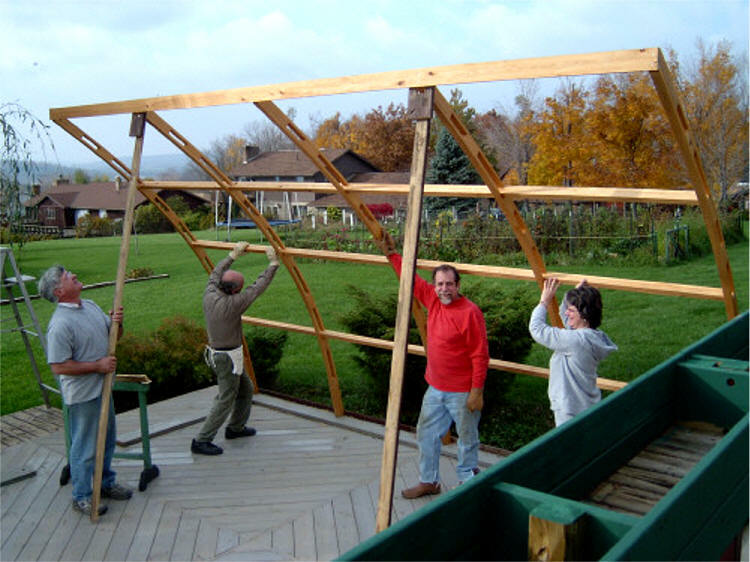 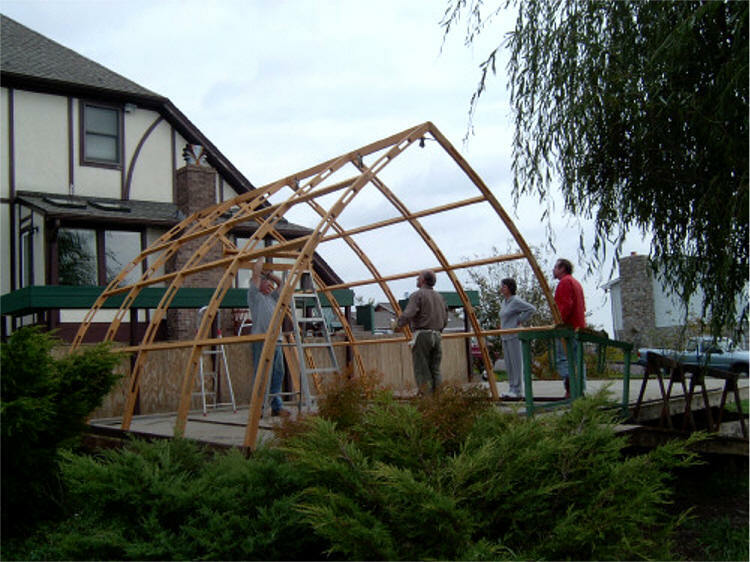 The arches were raised in mid October, and the last exterior sheet of twin wall polycarbonate went up 10 Dec 2004, hours before the first snow of the season. 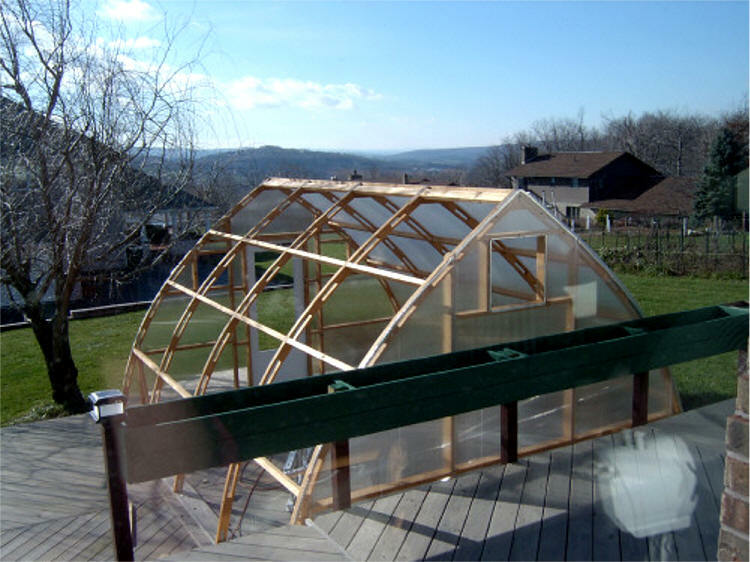 The greenhouse has already sustained and survived three wind storms in the 40-70mph range. 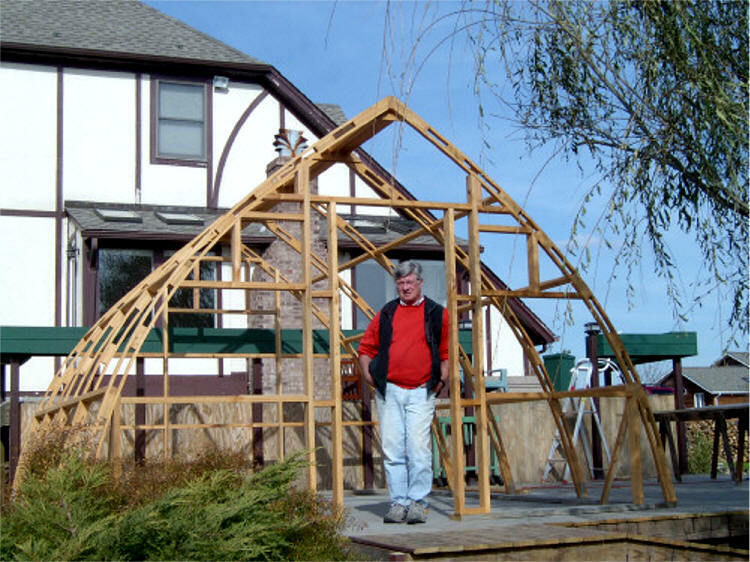 With the anchor reinforcements I added, which further enhance the Gothic Arch's inherently excellent ability to withstand wind, it is probable the structure will be there long after our house has blown off its foundation.